Pittsboro, NC – Valentine’s Day is next week and I am feeling the love. For chocolate, gourmet food and flowers, that is. But if you would like to share the romance in the air, what better way to celebrate love than with a candle lit dinner for two? If you want to impress your date with a fabulous dinning experience, you better make your reservations now for Valentine’s Day dinner. I recommend Fearrington Village. 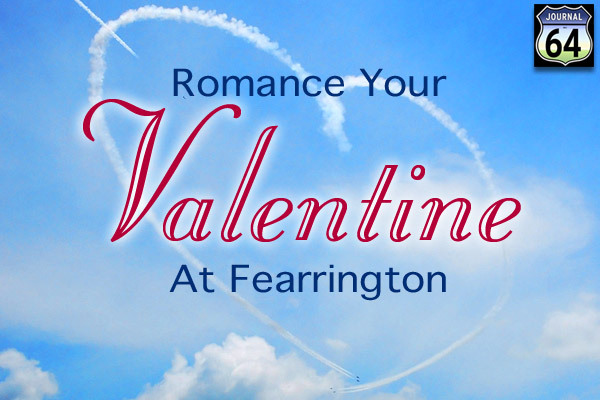 At Fearrington Village you have your pick of two very special places. The Fearrington Granary or the elegant Fearrington House Restaurant. Colin Bedford is Executive Chef of both The Granary and	The Fearrington House Restaurant. His amazing menus has won an avid following and national celebrity, winning many awards. Born and trained in England, Chef Bedford has been at Fearrington since 2005. The Fearrington Granary features Chef Bedford’s creative contemporary American cuisine. The menu and dishes change frequently to take advantage of the freshest local produce. On my recent visit there, my date and I enjoyed a fabulous meal. We began our meal with the calamari. It was served with a spicy garlic sauce. We then were treated with an incredible seared salmon in a dill, caper sauce over spinach. It was all divine! The menu is quite eclectic with a definite Southern flair. If you make your reservation at the Granary and Ashley is your server, tell her Julie Roland sent you and she’ll take great care of you. You’re in for an extraordinary culinary experience at the Fearrington House Restaurant. Chef Bedford’s menu changes frequently to take advantage of seasonal produce harvested from his own gardens or from local growers. Make sure to wear your special duds and prepare to be wowed. You can choose from a three course menu, a four course menu or from the Chef’s six course tasting menu with wine pairings.